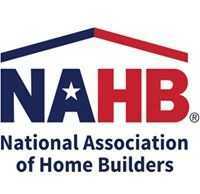 WASHINGTON, D.C. – (RealEstateRama) — The National Association of Home Builders (NAHB) 55+ Housing Industry Council is now accepting applications for the 2019 Best of 55+ Housing Awards. All builders, developers, architects, marketers and designers of 55+ housing are invited to enter this prestigious awards competition. For additional information, contact NAHB’s 55+ Housing Industry Council at 800-368-5242 x8130 or "> .